Turkish American Dr. Asu Ozdaglar, the Joseph F. and Nancy P. Keithley Professor of Engineer at the Massachusetts Institute of Technology (MIT), was recently promoted to both Associate and Interim Department Head of the Department of Electrical Engineering and Computer Science (EECS). 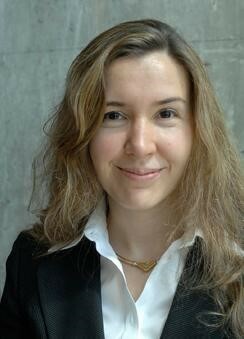 Dr. Ozdaglar is best known for her contributions in the areas of optimization theory, economic and social networked systems, and game theory. She has made several key contributions to optimization theory, ranging from convex analysis and duality to distributed and incremental algorithms for large-scale systems and data processing. She is a co-author of Convex Analysis and Optimization. Dr. Ozdaglar's research focuses in large part on integrating analysis of social and economic interactions into the study of networks. Her work spans many dimensions of this area, including analysis of learning and communication, diffusion, and information propagation, influence in social networks, and study of cascades and systemic risk in economic and financial systems. She continues to make key game-theory contributions, including learning dynamic and computation of Nash equilibria.